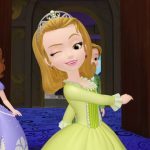 While there are a lot of tales and stories featuring famous characters from Sofia the First TV Series, only a few of them mention some other less popular actors, such as Enchancia Castle servants. Let’s dedicate this article to them. Read on to find out who they are, and their stories! Do you remember the dreadful castle of the Beast? It raised its dark towers peering into the night until a beautiful French girl – Belle – came to the castle and through her love and compassion, restored the love and laughter to the place. She eventually managed to break the terrible course the palace had been kept under. However, if it weren’t for the castle servants – the talkative and lively Lumiere, and his kind and a rather bossy friend, Cogsworth, the Beast’s castle wouldn’t survive a day under the Enchantress curse. It only because of their patience and loyalty, the Beast castle survived and even thrived through its darkest days. As no castle or mansion can do alright without castle servants, the Enchancia Castle also has a lot of them. Mostly, you will see them running from one place to another, doing all kind of things. Washing, cleaning, inspecting, running on errands – being a servant in Enchancia might be a tough job. This why King Roland the Second chose only the best of men to serve at his domain. Sometimes, judging from his relationship with his Enchancia Castle servants, we can assume that King Roland and some of his butlers are on very familiar, even friendly terms. One of the castle servants that is a good friend and adviser of the King is Baileywick. 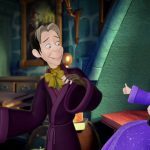 His responsibility, as he personally states when Sofia first comes to the castle, is “to make sure everything in the castle is where it should be when it should be”. Having a stern personality never failed Baileywick to make friends easily. From the first days of Sofia’s royal life, Baileywick becomes her true, intimate friend. He always cares for Sofia and never hesitates to rebuke the little princess for her mistakes easily. 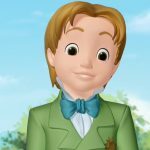 You can see this happening when Baileywick gently tells Sofia that telling a lie to prevent Prince James from being punished is wrong nevertheless. If you still haven’t seen how Baileywick spent his birthday, go watch the episode Baileywick’s Day Off. Notice how selfless and dutiful does his job as a Castle Steward. He doesn’t even want to quit for a single day to celebrate! Violet the Maid is another menial who stands out from among the other castle servants. Violet is a good friend of Baileywick since she is the only house servant that he calls by name. Since she is new at the castle, she must stick with Sofia to learn new things. You can see her appearance, as like the appearance of other castle servants in the episodes called Baileywick’s Day Off and The Baker King. Will she be able to be a good house maid? If you are a loyal fan of Sofia, then you might be familiar with all these characters. Follow their development and their adventures through the Castle of Enchancia and beyond. You will learn that being a castle servant is not a shame, but rather an important duty, that needs responsibility, altruism, and care to be done appropriately.